With many years of quality experience and knowledge in this domain, we are engaged in providing exhaustive range of Price Tag to our clients. 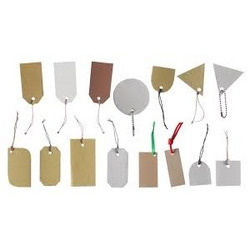 Our price tags are specifically developed for giving price specifications for your products. A barcode can also be printed on our price tags on custom requirements. We manufacturing the price tags in deferment sizes & colors as per the client requirement. As well we are doing die cutting tags. Under the huge array of our items, Price Tag are supplied to our customers. The mentioned items are fabricated and developed by our expert workers using quality accepted material and current technology. The product is best known for its optimum strength and clear printing these items are easy to use. We offer superior quality price tags that are put on the products and garments to display price. Superior in quality, these tags can be made in several materials, such as paper, transparent plastic sheet and rubber. 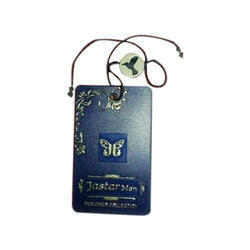 To present the tag in an outstanding way, we can also do embossing, raise printing, cello glaze and foil printing. We are uniquely positioned in the market proffering excellent quality array of Price Tag that is available in many specifications. They are available in many color options.